Rafa Benitez is preparing to lose two crucial players to the Asian cup which takes place in January and runs until February. Newcastle United's creative spark in midfield is about to disappear for as many as six weeks which begins after the game against Fulham this weekend. With Ki Sung-Yeung set to jet off at the earliest possible date for the Asian cup gives Rafa Benitez a midfield headache with Jonjo Shelvey struggling to shake off calf and hamstring problems this season. Ki has been superb since coming in for Shelvey against Watford when Newcastle began to pick up some points winning their next three games with the South Korean captain starring in all three fixtures. 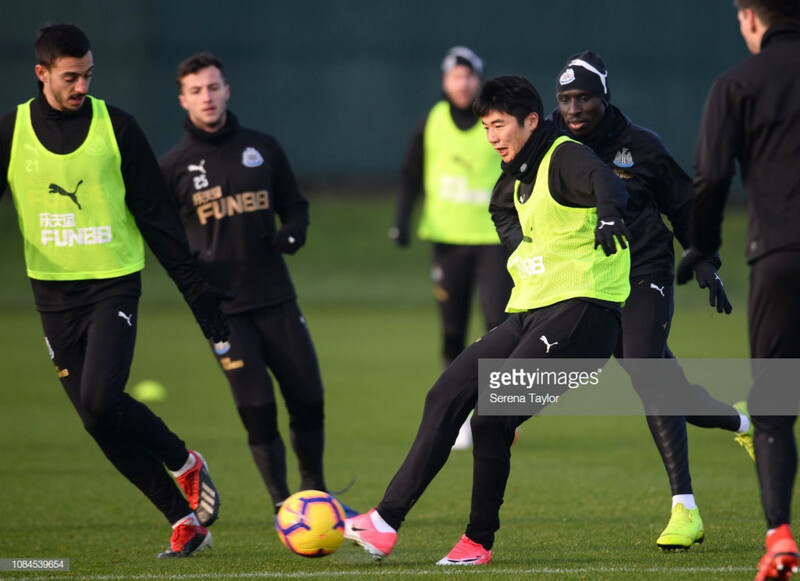 As well as Benitez's talented midfielder departing during the hectic Christmas period, forgotten man Yoshinori Muto will also be leaving the Magpies to represent Japan. This is despite it being reported last week in The Chronicle that Muto would not be selected by Japan because of his latest injury and not playing since that same Watford game in which Shelvey picked up an injury. Despite Muto being sidelined or not deemed match fit for a lot of the season he has been a bright spark for the Magpies when fit and playing. You just have to look at his influence to the side in his first start for Newcastle he scored and should have had another against Manchester United when the Magpies ultimately lost 3-2. Benitez is likely to go more defensive than planned when he visits his old side, Liverpool, as he will likely have to play two more defensive midfielders in Mo Diame and Isaac Hayden. Hayden has not been fancied by the Spaniard since being promoted from the Championship as he seems to take a second too long when on the ball and is regularly caught in possession. When asked about losing his two players Benitez told The Chronicle: “Ki will go December 26 and we don’t know when he will come back." “Muto will go January 3 after Manchester United." "I was trying (to get Ki to stay for longer), but they wouldn’t change." The South Korean admitted it is always an honour to represent his country as well as being captain, but he will leave with mixed emotions after he fought so hard to earn his place in the first team. He told the Northern Echo: “I don’t want to be greedy, and I know we have good players, so if I can’t play (get back in the team when he returns), then I can’t play." “There are not many games left in which I can play, so as much as I can, I try to win every game." "Then, of course, I feel a little sorry for the team, as they’re in the middle of the season, but at least we’re in good shape." The South Korean international may see this as his last opportunity to guide his country to some silverware as he considered retiring and was expected to do so after the 2018 World Cup. However, Ki decided to continue playing club and international football as he is obviously very proud to play for South Korea.